Wow, did I choose the wrong time to stop listening to earbuds, or what? From those back in the day on Head-Fi, you might recall that I had a dense collective work of published earbud reviews and that I was known as “that earbud guy”. Sometime around 2014, I discontinued all usage with earbuds because I felt at the time that they were overpriced nonsense that didn’t live up to the standards I knew they were capable of. Shortly thereafter a barrage of excellent earbuds and a forward jump in technology was bestowed upon the audio community…naturally. I had chosen the wrong time to leave earbud heaven. Lee at VE has sent me his flagship earbud called the Zen 2.0 and I must say, I like where things seem to be heading for earbuds in general. I’m sure that most of the audio community is well aware of the success of the Monk series from VE, which was an astounding value at only $5 or so. This time around we will be taking a look at the Zen 2.0 ($148US) that was originally released in 2015. Now two years old, this last generation earbud has a lot to stand up to in the way of competition in mid-2017. Lee at VE is an awesome guy and I can’t thank him enough for answering all my questions and being so timely with packaging, so a big thank you for me to him, personally, for the set of earbuds. For this price, I expect the whole and more than stereotypical plastic housings. I also expect a much better cable than something this basic. Color me not impressed in the area of build quality and with a severe longing for something of a much higher quality. There are plenty of other earbuds in this price range that offer aluminum housings as well as a great fabric style cable, carbon fiber plugs and even removable adapters or cables as well. Sadly, this earbud comes stock with everything I prefer high-quality earbuds to not come with. I do not feel that quality is subpar, as I’ve certainly experienced other earbuds out there that are far inferior in quality offered. There are varying degrees of plastic housing quality and heft, and I would be reading this earbud is something inside the moderately acceptable field. Nearly 6 years ago, Sennheiser released their MX 980 earbuds with a significantly higher quality housing and stem stream relief for roughly the same price. We need to move out of this plastic and back into the metals world with regards to build quality, certainly so in this price tier. Despite that, you can purchase the VE Zen 2.0 during checkout with some adapter plug options that vary from standard 3.5mm to assorted balanced adapters as well. 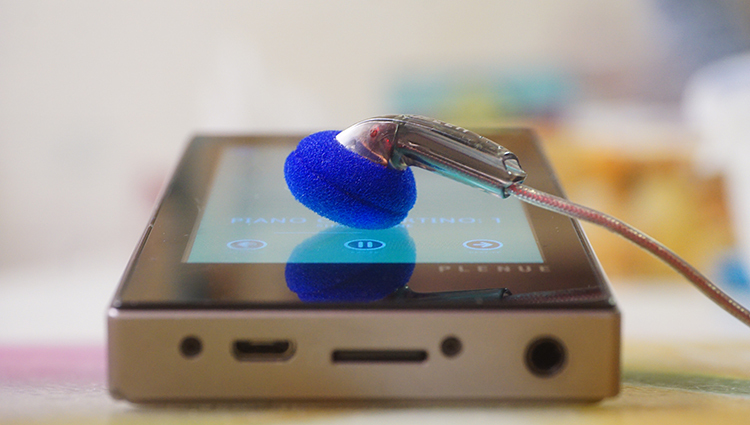 Immediately noticeable, was the vivid musicality factor this earbud is offering listeners. Those of you who subscribe to my reviews should be aware of what this means for me. Long have I desired an absurdly musical earbud, yet one that also offers good quality overall. This is intended for exaggerated fun, there is no question about it. The bottom end has a warmth to it that makes most music tracks feel rounded and hefty. The midrange is gently colored and vividly upfront in terms of placement, which meshes very well with sparkled treble that doesn’t take it too far in quantity. 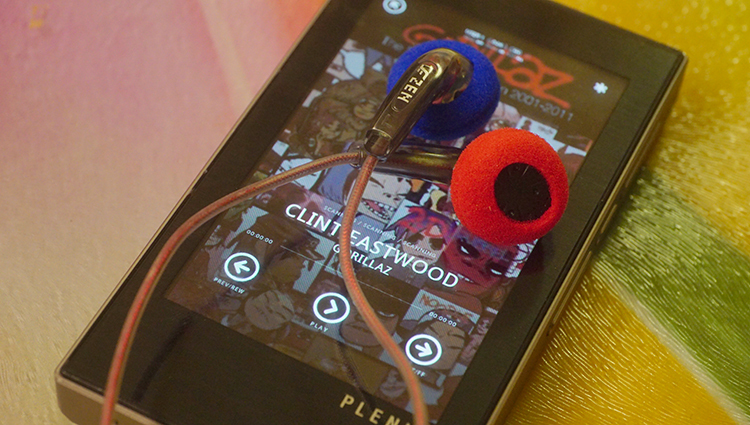 All of this combined in one earbud equates to a highly musical, fun and memorable sound. Accuracy and neutral chasers won’t enjoy this, but those who want to kick back and have some fun, play air guitar in front of your family and bob your head to the beat should be very happy with the tonal qualities this Zen 2.0 has to offer. I recall a long time ago, I am talking roughly 7 to 8 years ago, that we were told repeatedly by so-called earbud experts on certain other forums online, that earbuds will never sound bassy because dynamic drivers aren’t capable of producing bass quantity enough to satisfy bass heads when said drivers are intended for earbud housings. I think it is more than safe to say that we have proven them wrong a few times since then. 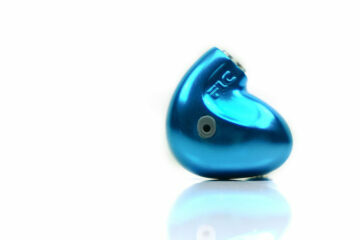 VE has crafted a marvelous sounding low-end on earbud in terms of quantity. If you’re coming from the older generation of earbuds would probably never expect this product to house that much quantity down below. I wouldn’t call it bass head at all, but I would think it fair to label the entire bottom end of this earbud at the very low end of bass-moderate. Quantity has always been an issue with earbuds, so I’m happy to report that at least a few manufacturers out there have been implementing more low-end it earbuds lately and that this Zen 2.0 is one of them. As good is the quantity seems to be, which is fantastic to my ear, the quality is a bit of an issue. I wouldn’t classify the low end of this earbud as good in quality but I would classify it as something above a negative rating for what I expect it to be in this price tier. I find it to be booming and hazy, overly thick feeling in terms of substance factor, as well as having too much of a tendency to bleed into the midrange. Unfortunately, the literal response to bass equalization is less than stellar and I constantly find myself toggling the equalization bars on my source in a desperate attempt to find my preferred comfort zone. Sometimes and depending on if the track is bass heavy, I am forced to actually remove some of the low-end via equalization toggle if only to remove some of that blending that is occurring between the low and midrange of this earbud. Having said all that I question what am I supposed to compare this Zen 2.0 with exactly? I cannot name a single earbud in this price range that also offers excellent bass quantity, so is it fair to judge one of the only earbuds in existence that has a fantastic bass quantity that also offers decent quality? The reason for that is simply because I have only ever experienced one other earbud (a $12 Yincrow that has an absurd bass quantity for an earbud, but is far lesser in quality, that is also highly musical sounding in tone) from another company that puts out excellent bass like this in a similar musical manner. So despite the Zen 2.0 offering just okay quality down below, I am more than happy to sacrifice quality for quantity when it comes to earbuds. Right now the technology hasn’t moved forward enough to offer excellent $150 level bass quality in a hanging style earbud driver, so I do not fault VE in the slightest for opting for this route. In fact, I can’t thank them enough for it because I personally and subjectively enjoy the hell out of it. They took a big leap and did very well on a 2015 product release that had originally cost $164. That takes guts. I’ll have to commend this company once more for offering a very forward, lively, engaging and smooth sound signature throughout the entire midrange. I have too many earbuds to count in my collection, including some of the more recent additions to the hi-fi world of earbuds that are very expensive in direct competition for the Zen 2.0. Not a single one of them sound this forward and musical. The signature’s position for vocals is very smooth, easy to listen to and highly enjoyable. From classical to rap it doesn’t seem to matter at all, this earbud seems to be a genre master without any faults in terms of said genre selection ability. It is fantastic for YouTube binging and typical movie media excursions and then immediately back to classical playlist listening sessions. Quality is right on the money, in terms of what I expect a $150ish earbud to sound like. The Sennheiser MX980 was old school neutral and attempting accuracy, whereas Yuin and even 9wave (Does anyone else remember them?) opted for a more saturated, hefty and musical midrange experience. So far, I think Lee at VE has hit the ceiling with a heft to the midrange. Certainly so, considering that this is an earbud. I logically cannot comprehend more substance factor in an earbud without it sounding overly bloated. VE tunes their products, that much is clear. 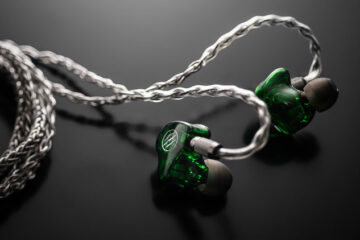 So with that in mind, it seems a no-brainer that the quality offered, which is very good to my ear, combined with the excellent forwardness factor, making this perhaps the best all around vocalist lovers dream earbud. If you like forward heft and high engaging midrange, this is for you. It comes to no surprise that due to the hefty low-end presentation of this earbud, the treble would require itself to be prominent and plentiful. 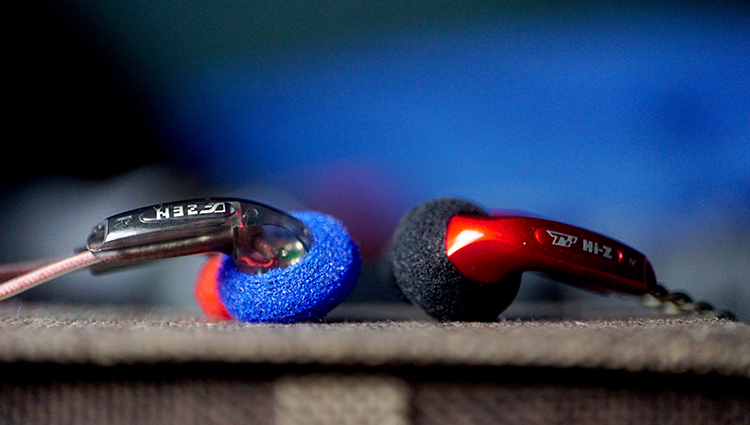 Such is the case, yet also without going too far, which is a problem with my TY HiZ650 Earbuds and what is one of the only real competitors to Lee’s Zen 2.0 in the sub $200 tier. The upper end of this earbud is lovely and clearly intended to be enjoyable, regardless of what you are using this earbud for. It reminds me of how Hifiman used to tune their Planar headphones years ago: something with just a little bit and sparkle. I really enjoy the top end of this Zen 2.0, which again, is something I just cannot do on the TY HiZ650. Subtlety is a lost art in the world of portable headphones, almost always the treble is either icy and too powerful, or severely lacking. This is a rare case in the sub $200 field, especially so for earbuds of a hanging style. That slam and kick factor is on the smooth side. This is a unfatiguing experience throughout and I can use the Zen 2.0 indefinitely without feeling ill or receiving a headache due directly to slam and wince factor. I don’t really own any other earbuds in any price range that offered this type of a presentation before. Something enjoyable plentiful, but without going overboard in quantity, as well as offering a smooth dynamic kick that fails to be boring. The Zen 2.0 boasts good imaging prowess but lacks enough potency in realism factor to be cited as very good or excellent. This set only left me with a desire for much more after listening to one of its competitor’s models (the TY HiZ650), yet still managed to effectively match the older generation champion of earbud staging: the Sennheiser MX980/985. Yet, doing so with a much smaller housing, as the MX980 was massively unyielding in poor fit. We’ve improved significantly over the years in the imaging department for earbuds and I am so happy to report that as a stage buff, I am more than satisfied with the qualities offered in this Zen 2.0’s staging areas. Height and Width are good, as is the depth of field. If I had to gripe, it would be with aim and regard to airiness and separation qualities, which I find to be a bit underwhelming. I still consider it more than enjoyable enough to be unbothered by. Remember, this model is 2 years old now and some other sets have really thrown the earbud imaging possibilities for a loop. I don’t want to get too into detail, but the HiZ650 is significantly better in imaging. The Zen 2.0 is rated at 320 ohms, so you’ll need a beefy portable amplifier or a solid source with great power output to get the best of this earbud. 320 ohm seems silly to me for a portable headphone, but this is actually relatively easy to drive compared to some of the competition out there in the earbud universe. We’ve received a few 600 and 650-ohm model earbuds from other companies and I must say, having a 320 ohm in the Zen 2.0 feels like it meshes very well with the 1w output of my Cowon portable player. If not for that excellent source power, I’d not be using the Zen as my primary earbud. I wouldn’t bother purchasing unless you have one of the nicer Hifi Daps out there that are of the last generation or so of portable player releases. Meaning, iPods ain’t going to cut it. Their power output may be too low so you might want to opt for the Fiio X5, Cowon, Pioneer or Astell and Kern players that have enough juice to sway 320 ohm needs easily. If not, you will totally miss out on the oomph of the bass and sparkle of the treble that comes with properly powering the Zen 2.0. 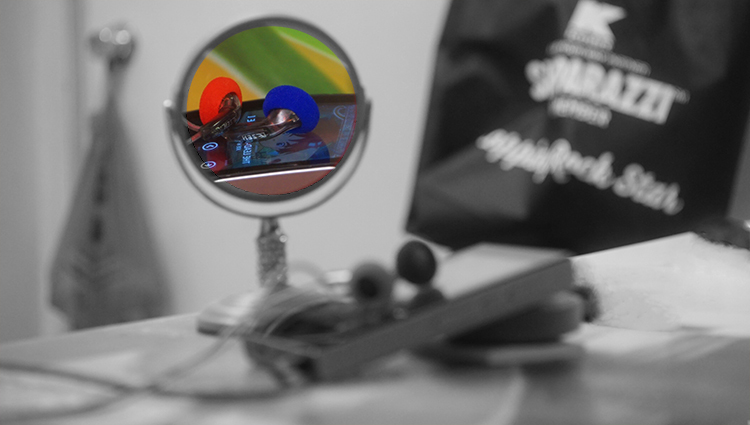 I really enjoy this earbud. As a musicality chaser, I can’t help but smile and find myself lost as I ride my electric bike with the Zen 2.0 logged into my ear domain. I simply find them charming, which is the best word I can use to describe them. It has a bass quality issue, but the midrange and treble seem to be on point regardless of the selected genre. With that in mind, I can only hope that VE takes this even further and fires right back at all the new Asian market earbuds that have come out recently and 1-ups them with a new model. Something with an equally musically, but vastly superior sounding and nearing reference level Hi-Fi. Oh, a reviewer can dream, can’t he? Great job, Lee and team Venture Electronics.